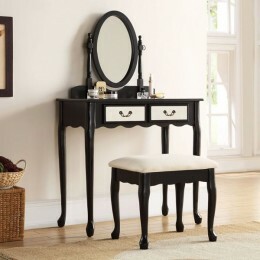 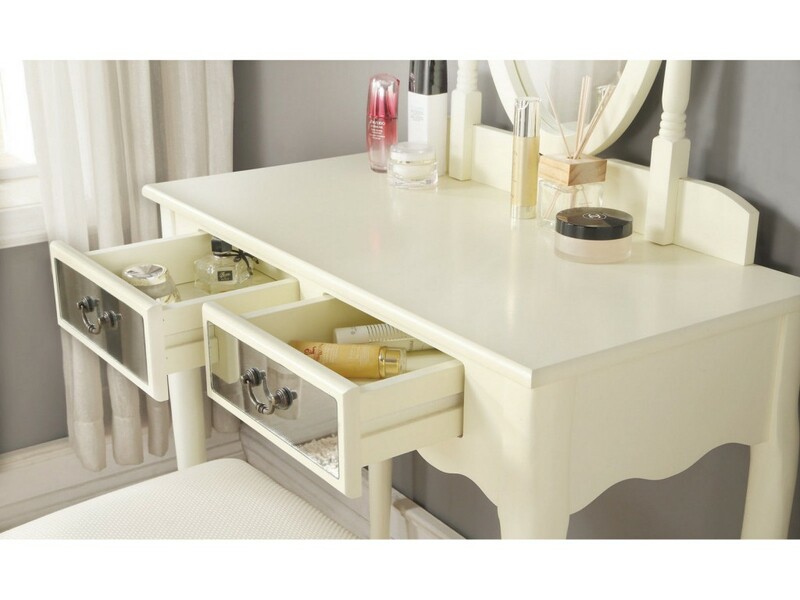 This traditional dressing table is a great compliment to your bedroom and will create a dedicated vanity space. 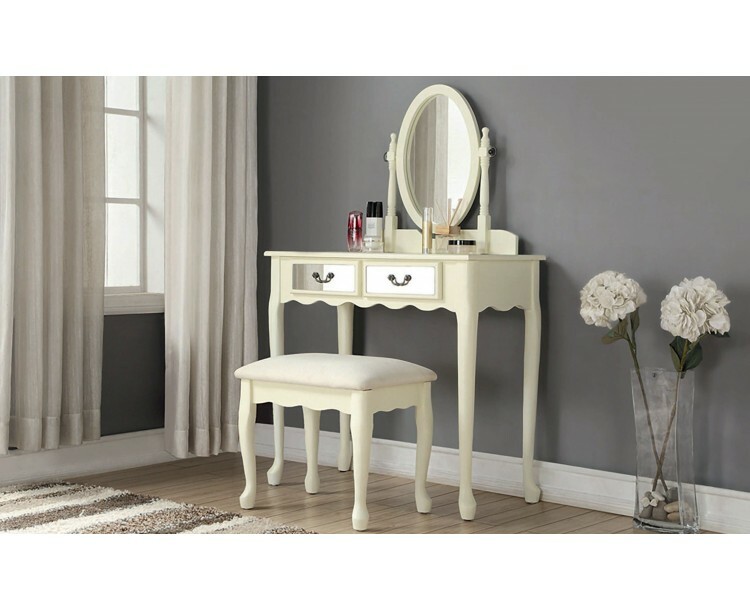 The long curved legs of the dressing table and stool along with the mirrored drawers will add a touch of elegance and class to any bedroom theme. 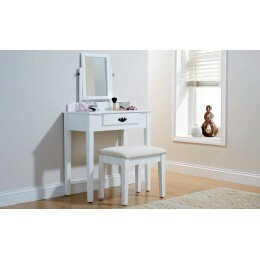 The set comes with an adjustable oval mirror and a matching padded stool for extra support. 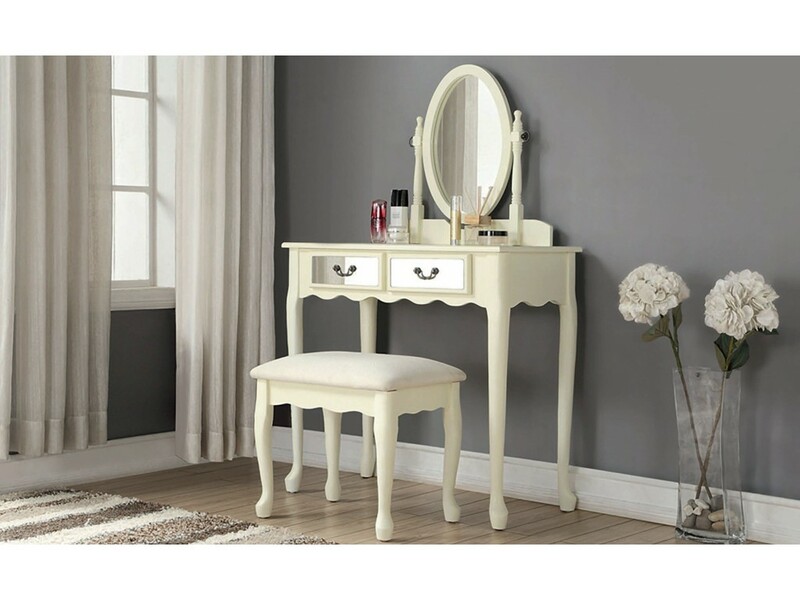 We are sure that you will love this furniture!